Our Teddy bear Florentine ornament is inspired by the baroque styles of 17th and 18th century art, architecture, and music. She is distinguished by ornate flourishes that complement her warm grey mohair coat. 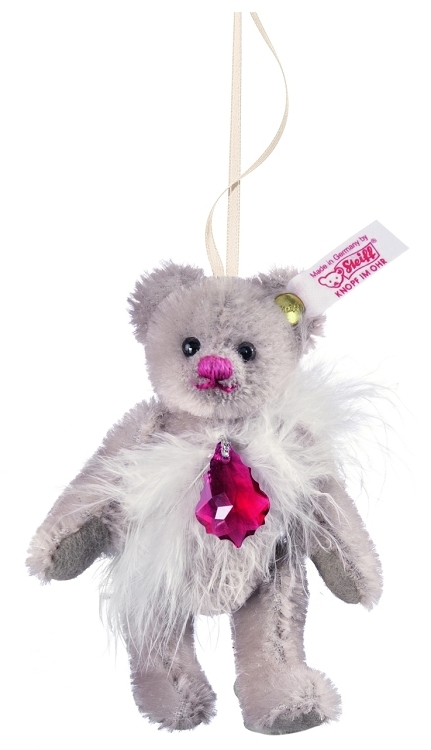 Around her neck, this sumptuous Teddy bear wears a necklace decorated with SWAROVSKI ELEMENTS suspended on a glittering silver cord. Luxurious real feathers and a bright fuchsia nose add to the ornament´s distinctive appeal. Perfect as a decoration at any time of year, our Florentine ornament is ideal in any space that needs a touch of elegance. Flexible Payment Plans available. Call 804.204.1545 to schedule your plan today.